Going on a tight budget for your flower orders then worry not as Flowers.com.mt allows you to send cheap flowers to St Lucia. You can choose and pick from our online variety of flowers to send to St Lucia. Rest assured as you now get to buy nice flowers to St Lucia, something within your budget. 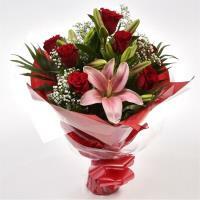 When sending your orders on Flowers.com.mt, don’t overlook to put in the recipient’s postcode and a contact number.